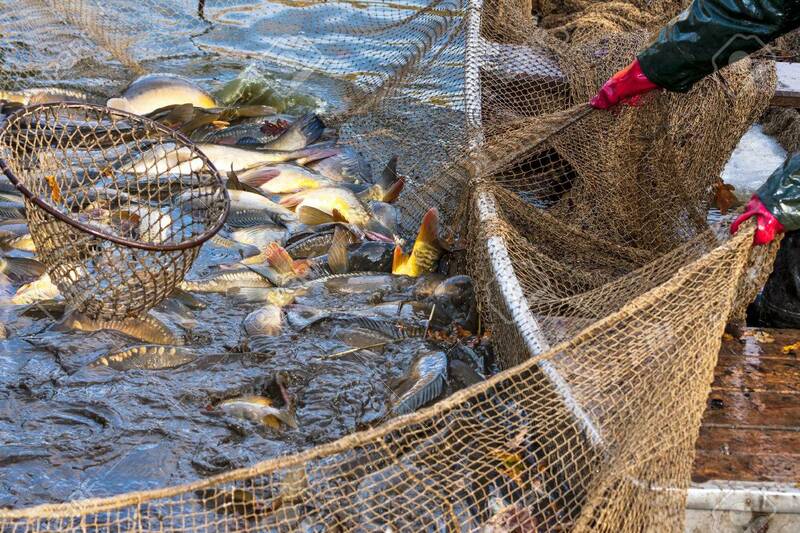 Autumn Harvest Of Carps From Fishpond To Christmas Markets In Czech Republic. In Central Europe Fish Is A Traditional Part Of A Christmas Eve Dinner. Royalty Free Fotografie A Reklamní Fotografie. Image 33125535.